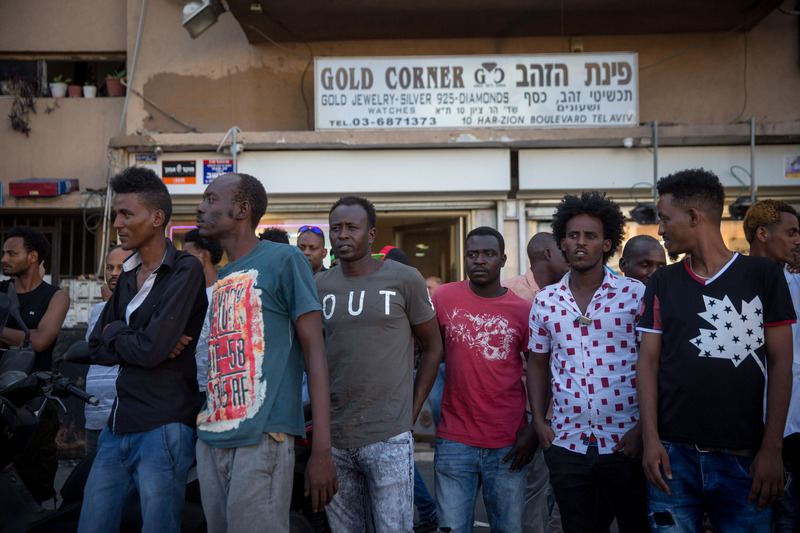 Prime Minister Benjamin Netanyahu has promised “to clean” Israel of African migrants, largely from Eritrea and Sudan, insisting that they do not belong to Israel. The Israeli leader Sunday said it was Israel’s right to get rid of migrants who he said “don’t belong here”. “They aren’t refugees,” “Most of them are looking for jobs,” he said during a cabinet meeting. He also made an unannounced visit to districts in South Tel Aviv that Israeli residents claim have been invaded by African migrants. There are around 46,437 Africans in Israel according to the African Refugee Development Center. The migrants, mostly Eritreans and Sudanese, say they have fled persecution and genocide in their home countries. Netanyahu’s Sunday visit to the neighborhoods is the second within a week. On a first visit Thursday, Netanyahu pledged that his cabinet would take the necessary actions to expel the migrants. “We are here on a mission to give back south Tel Aviv to the Israeli residents,” he told a crowd. He earlier announced three approaches to tackle the influx of migrants. The measures include a security fence along the border with Egypt, which has already succeeded in significantly reducing the number of migrants who cross into Israel from African countries. Enforcement of tougher sanctions against those who employ illegal migrants and against migrants who break the law was also decided, besides the setting up of a ministerial committee, chaired by the Prime Minister. The committee will meet for the first time on Thursday, Times of Israel reports. Israel has begun unlawful deportation of migrants to a third country. The Supreme Court last week ruled that the Government could continue the deportation of migrants who live in Israel without documents, but with the consent of the migrants. It however noted that the Government cannot jail those who refuse to leave for more than 60 days. Written by: KanelkaTagba on September 4, 2017. Posted by KanelkaTagba on Sep 4 2017. Filed under Headlines, World News. You can follow any responses to this entry through the RSS 2.0. Both comments and pings are currently closed.